No one is qualified to speak about life and how it should be lived until they are pushing up the daisies from down below. And once they are, ironically enough, speaking is out of question. I could talk about life, analyze it, understand it, define it, dissect it, only if I crossed over to the other side, exploring its alternatives but that would make me a dead man (I do not believe in the undead and that further limits my options). Often I hear people say ‘such is life’, or, ‘that’s life for you’, I find myself wondering, sometimes morbidly, who knows what life is! Well, you live, you learn, here goes another big idea. Instead of bound by rules set by others, can't we learn to live life our way? 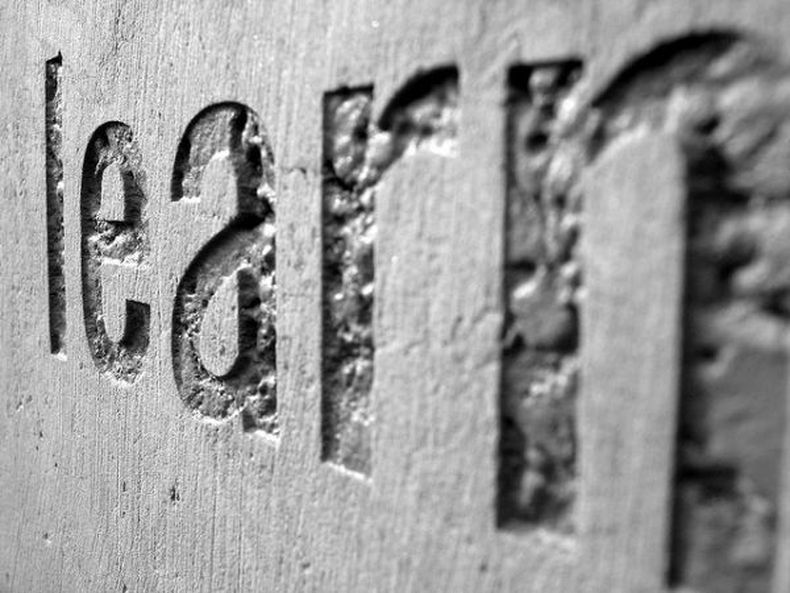 Learning is the essence of life. And what is life but a series of opportunities to learn? The more you learn, the more you get out of life. It is customized learning in process, wouldn’t you agree? I learn the lessons I need based on my situation, experiences, background, attitude, personality, etc, and so it is for everyone else. Whatever I experience individually is unique to me. Others, even the people closest to my heart may be able to empathize with me, understand me perfectly, but they cannot know or feel things that I do, the way I feel them. And, this is exactly why they talk about one reality and many interpretations. Realizing this was, and is, the most significant thing I have learnt about living. There can be no generalizations, no judgments about other people’s lives – everyone is on his/her own unique journey and our vantage point as an individual is way too limited and the only one allowed really, and learning to live means learning to accept this truth. This is your life, and you should live it as fully, as fearlessly, as happily as you can manage. Yes, there are ground rules. Societies need them in order to organize humans into navigable structures. Systems are built. Religions, science, culture, education, media, all play their part in influencing and engineering the details of our lives. And, on the other hand, the sum total of problems and their solutions seems to remain constant. This is because the individual self is beyond the scope of these systems. All these institutions are outwardly. In order to live fully, you, me, all of us, must realize that life is a concept greater than the sum total of all our collective achievement as a society. It must be respected as such. That gut feeling, that voice in your head, or heart, get to know it better. Give it time, space, whatever it needs, and learn to listen to it. Usually, when in need we seek clarity and meaning in talking to others. But, the answers are within. Without diving into the concepts of God, religion, morality, etc, regarding the gift that life is, one thing is clear: there are such things as life-affirming choices, decisions, and events. To make the most of our lives we need more of these and less of the other kind. We should learn to choose well, and to stand by good choices once they are made. If life were a thing, I would imagine it to be a quilt of warmth and beauty, made of a patchwork of instincts, dreams, desires, failures, successes, disappointments, desperation, fear, happiness, love and what not. Breaking away from the established tradition at this space, let me ask my readers about the lessons their lives have brought them and request them to share. For, life is not mine, not yours, without it being ours.